Seoheung is a bumper handrail specialist which proved its excellence in the field by obtaining ISO-14001 and ISO-9001 alongside a unique patent for bumper handrail. The bumper handrail of Seoheung is made of hard PVC and is dirt, damage, smoke, flame and bacteria free. The various colors to choose also help harmony with the interior of the building and the handrails are offered according to its need from bumper and wall to stairs and banisters. Seoheung has secured the best technique and construction capability in the field through its 10 years of expertise. The motto of Seoheung is “Think people first”. To make sure this motto is met in all procedures and services, Seoheung currently is pushing forward a direct production and check-up system in order to fast respond to any issues and customer complaints. “Many of our bumper handrails are found at hospitals, senior welfare centers, kindergartens and public institutions. 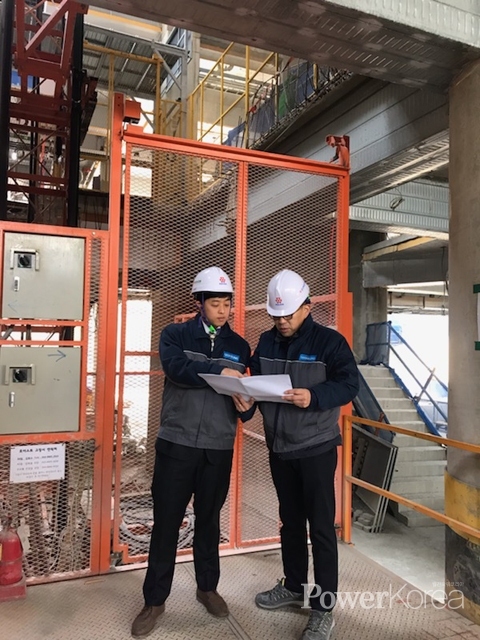 We’ve received excellent feedback from our clients and we feel proud that people with difficult mobility depend on our innovative and safe handrails to move with ease” said Kim In-yong, CEO of Seoheung. In recognition of its contribution to the industry, Seoheung received the 2019 Korea Brilliant People & Brand Awards in the category of construction materials. The 2019 Korea Brilliant People & Brand Awards is held by Herald Group which runs the Herald Business and the Korea Herald, and managed by monthly <Power Korea>. The awards find and reward competitive and promising companies and individuals who have shown high potentials to grow. The winners went through strict screening on documentations and also interviews when necessary. Some of the notable winners included Yongsan District Seoul, Gwangjin District Seoul and Jung District Incheon in the category of self-government and GS Retail, Dongwon F&B, Lotte World, Starbucks Korea, Korean Folk Village and Hotseasoner in various categories.